The first mention of the village of Cheetham, or as it has been mentioned in various spellings as Chetham or Chetam occurs in 1212, Roger de Middleton held a plough land of the king in chief in the “gnage by the annual service of a mark”, while there are references to be held directly of the king as Duke of Lancaster by Sir Geoffrey de Chetham and his family from the time of Henry III. The family took its name from the village and not vice versa, but would lose their lands backing the wrong side in the War of the Roses when Henry Tudor came onto the throne. The village remained a rural idyll well into the nineteenth century, its elevated position on dry sandy soil deposited as the last glaciers retreated north at the end of the ice age and beautiful views of the surrounding countryside made it a popular residence of bankers, merchants and industrialists rapidly earning money from a growing Manchester. It contained the Premier New Cinema,the Cheetham Hill baths, next door the Public Hall which also served as the base for local amateur dramatics while the Griffin Inn was in Regency times the Midland Hotel of its day where the Gentry held their banquets and charity balls and the summit of the village then became a gentle descent lined with shops. The Robin Hood pub which opened in 1794 was the meeting place for the village’s archers who were renowned countrywide for their archery skills while behind it in the same year, Mark’s Church was erected, the first in this part of Manchester and was followed by St Luke’s in 1839. 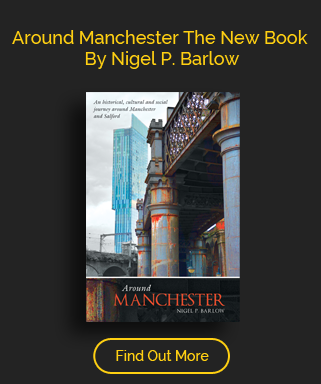 As Manchester expanded in the 1800’s it began to attract the Jewish community, following in the footsteps of early merchants such as Jacob and Lemon Natham who had set up in Shudehill, a new wave of shopkeepers followed later with the refugees from Eastern Europe. At the top were the merchants trading in the traditional industries of cloth and jewellery but over time the poorer community began to set up trades such as furniture making for the City’s shopkeeper trade. 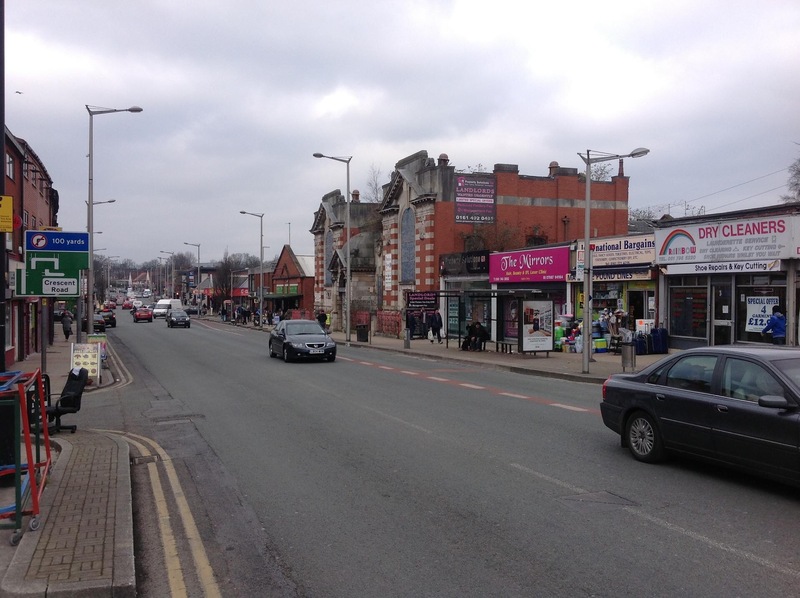 The Jewish community began to establish some roots – the Hebrew society was formed in 1838 and the first Jewish school in 1844 in Halliwell St later moving to Cheetham Hill Road. In 1858 two synagogues were established in Cheetham Hill the Great Synagogue on Cheetham Hill Rd and the Reform Synagogue on Park Place. During this time there was an influx of Sephardi in search of Manchester’s cotton wealth soon opening their Spanish and Portuguese Synagogue designed by Salomon on Cheetham Hill Road. In Manchester the population reached thirty five thousand, this part of the City became known as the Jewish quarter and was institutional in the evolution of Zionism. New synagogues sprung up with the new synagogue on Cheetham Hill raid founded by a Russian optician, a Rumanian synagogue on Waterloo Road,The Broyder School on Bury New Road, the Lower Broughton Synagogue on Cambridge St. and the Strangeways Synagogue on Harris Street. While a certain Michael Marks had moved to the higher reaches of Bury New Road in Higher Broughton founding with others the Higher Broughton Synagogue.